Super Bright - 60pcs 5730 SMD lamp beads,warm white,equal 15W incandescent bulb.360 degree Shining,no dead corner, no flicker, consistent and stable luminescence. Easy Installtion - E27 base is the most common screw-in bulb base.Turn off the power, screw in the old fixture or bypass the ballast if needed, and turn on the power. 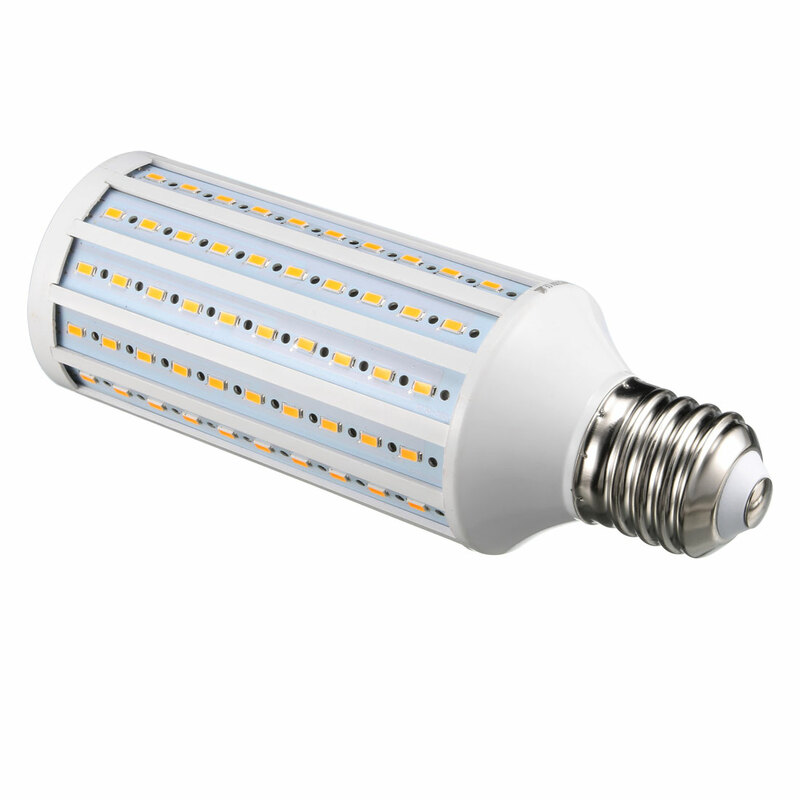 Long Lifespan - LED life is more than 40,000 hours, 5 times of metal halide bulb. Wide Applications - Great for garage, driveway, warehouse, barn, patio, courtyard , garden, street, office, , shopping mall, supermarket, station, restaurant, hotel, workshop etc, anywhere need bright light.